This worksheet supplements the FutureFit Project California Gold Rush. It should be used in conjunction with the activities described in that FutureFit Project. 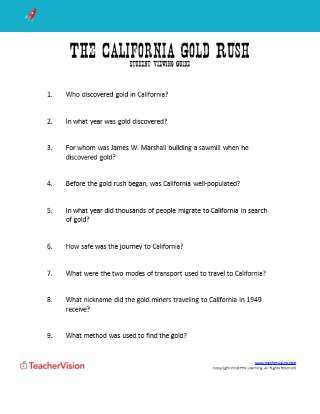 Students will use this worksheet to record their observations and research regarding the California Gold Rush.